Mission San Francisco de Asis was founded June 26th, 1776 by Padre Francisco Palou and named for Saint Francis of Assisi, founder of the Franciscan order. The mission is also known as Mission Dolores because of a nearby water stream called "Arroyo de los Dolores", in English "Creek of Sorrows". Mission Dolores is sixth in the chain of California Missions and it was founded at the same time as the Presidio and the Pueblo, the latter known as Yerba Buena. The town eventually became San Francisco. Today, Mission San Francisco de Asis stands as the City's oldest intact building. 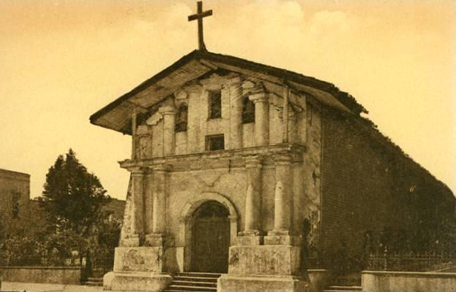 Other than that, the Chapel of Mission Dolores is the only genuine one that survived intact until the present day. Since the beginning, mission activities were hindered by disaster and attrition. The damp climate and foggy weather resulted in poor agricultural output and caused serious illnesses among the converted Indians dwelling at the mission. Because of the charming life enjoyed by most of the Indians who lived in the nearby area, runaway Indian converts were probably the biggest problem for the Mission's fathers. Despite all these difficulties, the number of baptized Indians was relatively high. The present building, a familiar landmark to the people of San Francisco, was begun in 1782 and dedicated nine years later in 1791. The church has essentially remained unchanged since then. Dolores Mission was secularized in 1834 and in 1845 the mission lands were sold. In 1857, by presidential proclamation, the property was returned to the Catholic Church.